If you ask me which one I prefer, bisque or chowder, my answer will most likely be chowder. Don’t get me wrong, I don’t dislike bisque, but when you put it in front of a chunky bowl of chowder, the bisque just seems too smooth and textureless. 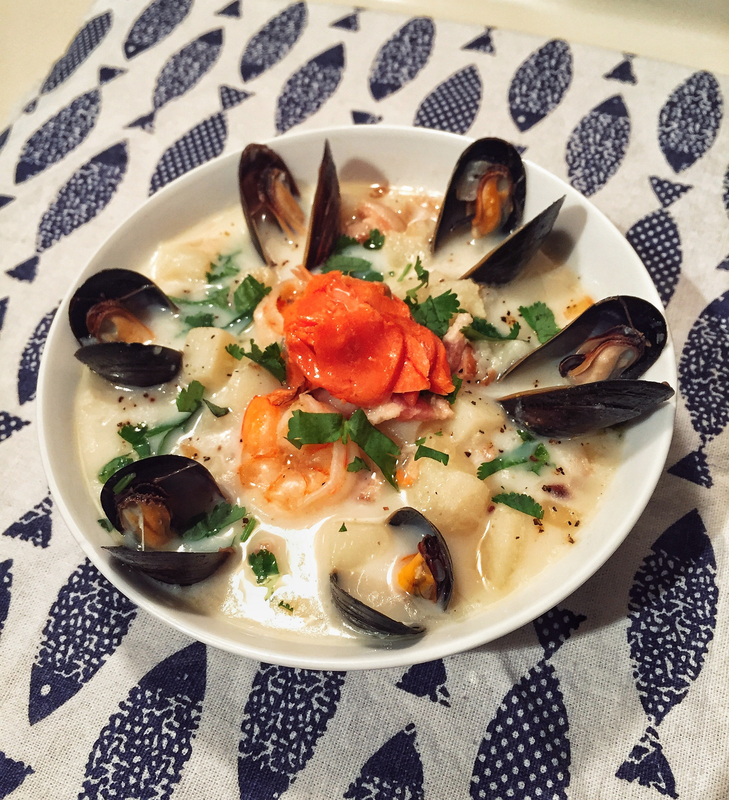 So, here is the recipe for the Irish seafood chowder, which is a lot lighter than the common clam chowder in the US. This dish uses smoked fish to add a distinct smoky flavor and is perfect for a cold winter night. This recipe severs 4 people.